Oh, how quickly things can change. 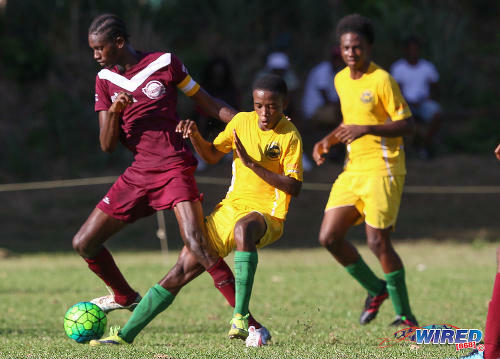 Less than a fortnight ago, East Mucurapo Secondary were one of three schools to escape relegation from the Secondary Schools Football League (SSFL) Premier Division on the final day of the season. 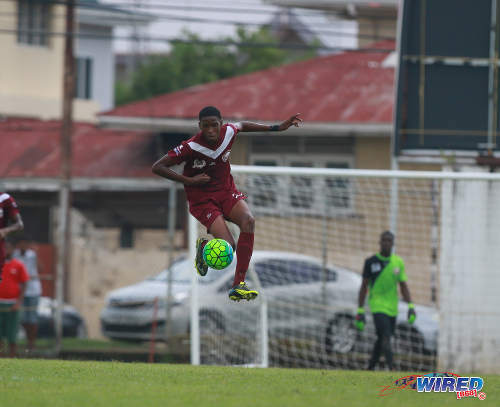 Trinidad and Tobago National Under-17 player, Jesse Williams, scored twice in a 2-1 win over Fyzabad Secondary on 26 October 2016, which should have secured Mucurapo’s place in the top flight of the 2017 competition. Photo: East Mucurapo Secondary attacker Zion McLeod goes airborne to control the ball during SSFL Premier Division action against St Benedict’s College at Mucurapo Road on 6 October 2016. 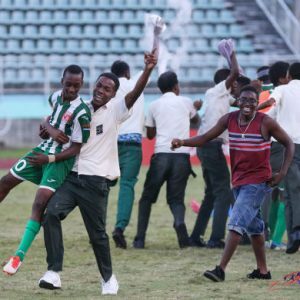 However, a successful protest by St Benedict’s College over Mucurapo’s use of defender Abdus Ramcharan might undo the latter school’s good work on the field and could have far reaching implications on the league standings and the identities of the bottom three. 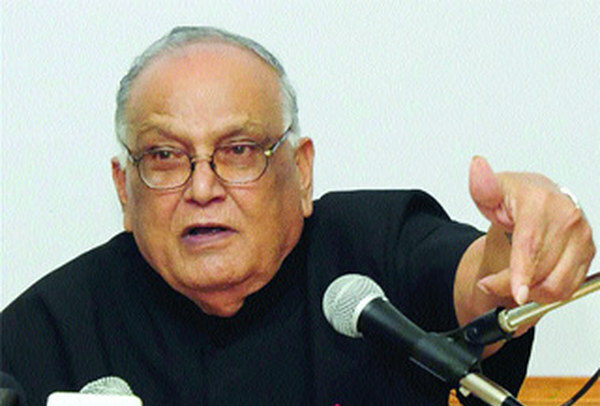 SSFL assistant secretary Gerald Elliot Elliot explained the matter. 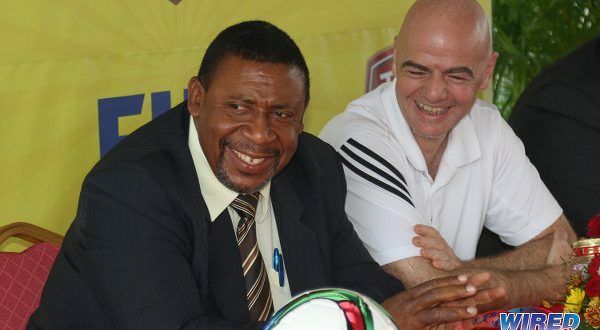 “[Mucurapo] were brought before the disciplinary committee for having used a player, who at the point in time was thought to be a repeater,” Elliot told Wired868. “But then it was discovered that the boy is in Form 6. However, contrary to our Rules and Regulations, based on the overtures of the principal, the Ministry [of Education] allowed the boy to go into Form 6 with only three subjects, where he now has to focus on writing the other two subjects probably in January. St Benedict’s were the immediate beneficiaries. 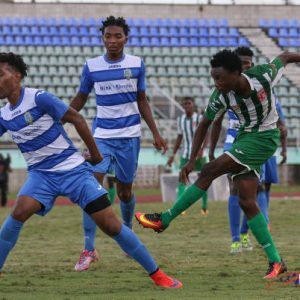 Photo East Mucurapo midfielder Joshua Constantine (centre) shows his studs as he goes for the ball while St Benedict’s College midfielder Kristoff Burkett (second from left) has second thoughts during SSFL Premier Division action at Mucurapo Road on 6 October 2016. As it turned out, Benedict’s beat the drop on the final day of the season. The awarded points means that the southern outfit will swap places with the Mucurapo Road school with St Benedict’s and Mucurapo now finishing in 10th and 11th place respectively in the 15-team table. However, it gets messier since Ramcharan featured in more than one game for Mucurapo this season. And the result of that SSFL probe could affect the outcome of the competition from top to bottom. Mucurapo could suddenly find themselves relegated. 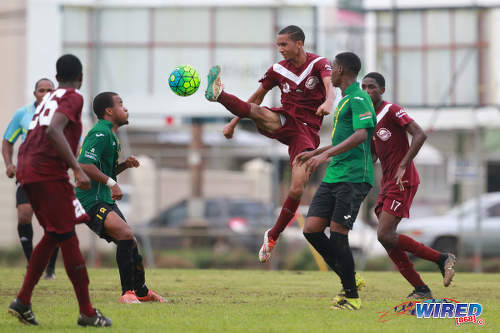 And they are not the only ones, as San Juan North Secondary look suddenly vulnerable. Mucurapo manager Jimmy Arthur confirmed that they have already appealed the SSFL disciplinary committee’s decision, though. Was the East Mucurapo management staff aware that the player did not have the number of passes required to play in the SSFL? 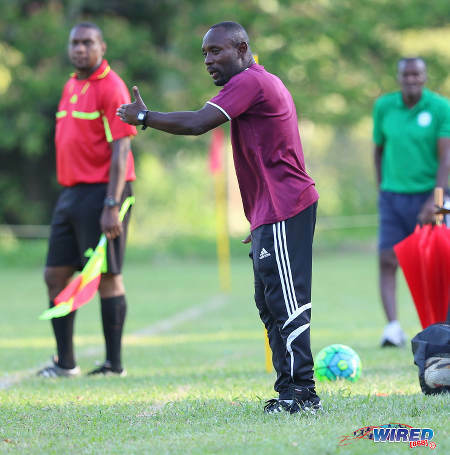 Photo: East Mucurapo Secondary coach Dale Saunders (centre) gives instructions during SSFL Premier Division action against Signal Hill at Moka on 14 September 2016. 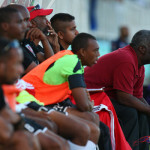 East Mucurapo head coach, Dale Saunders—who also coaches two-time Pro League champions Central FC—did not sound as confident as his team’s manager. Saunders confirmed that Ramcharan, a slim but dogged defender, was a regular in his squad this season. For now, the SSFL is awaiting for its appeal committee to rule before considering the possible implications to the disciplinary committee’s verdict. Photo: Giant East Mucurapo captain Akquinde Marslin (left) tries to turn past a Signal Hill opponent during SSFL Premier Division action at Moka on 14 September 2016. 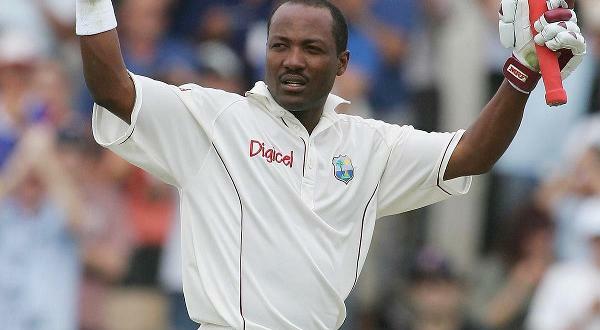 Arthur suggested that Ramcharan could represent Mucurapo in Intercol action tomorrow against Diego Martin East. Elliot insisted otherwise. 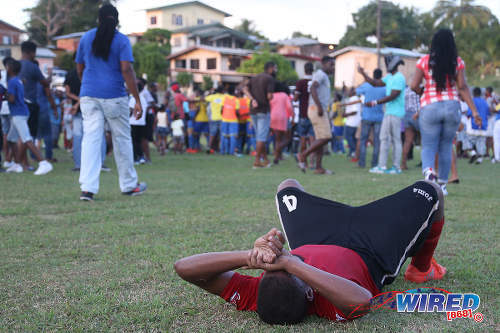 It could end in tears for Mucurapo, who once fielded Trinidad and Tobago stars like Kevin Molino, Joevin Jones, Khaleem Hyland and ex-2006 World Cup forward Cornell Glen. Mucurapo played in the inaugural Premier Division season in 2014 but were relegated—despite winning the National Intercol title that year. They bounced right back up to the top flight in 2016. But, if the SSFL appeals committee endorses the decision of the disciplinary committee, they will go right back down to the Championship Division again. And what will it do for the rest of the SSFL top flight? Shiva Boys Hindu College won the Premier Division with a record 37 points. But they were held to a goalless draw by East Mucurapo. If Ramcharan played and Shiva Boys are awarded the win, the Penal-based school will move up to 39 points from a possible 42—surely a total that would not be easily overhauled. Photo: A Pleasantville Secondary player (foreground) laments the final result after a 3-1 defeat to Shiva Boys Hindu College in SSFL Premier Division action in Pleasantville on 22 October 2016. 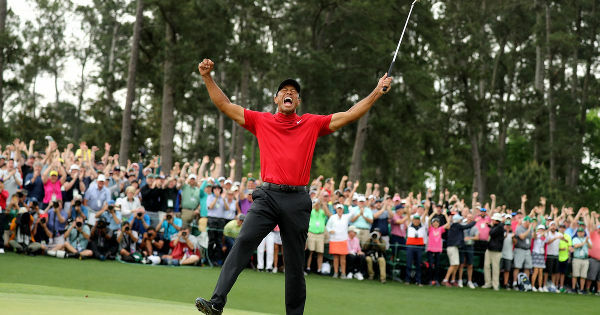 There will be more emotion amongst the bottom four clubs, though. Twelfth placed San Juan North defeated Mucurapo, so their points total would remain unchanged at 11. However, 13th placed Queen’s Royal College drew goalless with Mucurapo while 14th placed Pleasantville Secondary and table proppers Fatima College both lost to the school under investigation. If the SSFL rules against East Mucurapo and he is found to have played against the three aforementioned teams, then Pleasantville would move to 13 points and 11th place while Fatima and QRC would end with 12 points each. And the three goals awarded to the victors would give Fatima a superior goal differential to the “Royalians” by a solitary item. It would mean that East Mucurapo, San Juan North and QRC would be relegated, rather than—as it currently stands—Fatima, Pleasantville and QRC. Today’s Championship Division Big 5 results confirmed promotion for Carapichaima East Secondary, Trinity College East and Speyside High School. Suddenly, there are question marks as to which schools that trio will replace. Photo: Trinity College East midfielder Kishon Hackshaw (centre) accepts the congratulations of his teammates during SSFL Championship Big 5 PlayOff action away to Princes Town West Secondary on 4 November 2016. 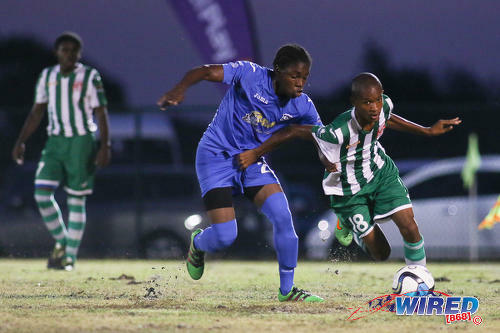 Photo: San Juan North midfielder Tigana O’Brien (right) holds off Naparima College defender Sylon Sylvan during SSFL Premier Division action at Irwin Park, Siparia on 7 September 2016. Both teams played to a 2-2 draw. Mr Liburd did you get an idea of how long the appeal committee may take to come to a decision on this issue? We cannot state definitively yet. 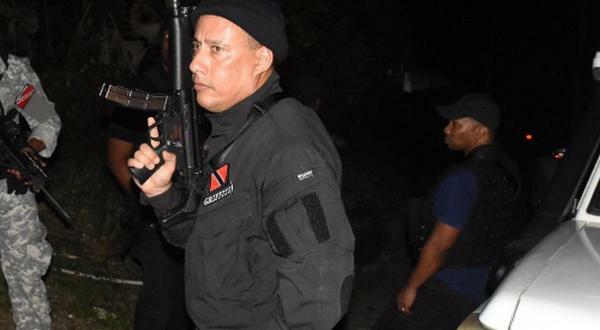 But Roneil Walcott should have an update within a day or two at the worst. still wondering how Pres Sando beat St Marys 9-0 to end up second in the league! I was told that St Mary’s gave their substitutes a run out. We did not attend that match so I cannot confirm. Veno, the Pres drubbing was because of St.Mary’s fielding a 2nd string team having nothing to gain (being out of championship contention) and nothing to lose (being far from the relegation zone). It appears that they decided to give the subs and juniors “ah run” as it was their last game of the season. Pres hopefully had no control over which players took the field in front of them so ran riot. Obviously, these tactics by the Saints padded the Pres Goal Difference that would have been more respectable had St. Mary’s fielded a full strength team. The impact of this meant that although Naps and Pres finished with the same number of points and with Naps winning the head to head match up 2-0, the largely superior goal difference Pres were gifted allowed them automatic qualification to the SSFL Super Cup. Perhaps the Archdiocese wanted a Catholic School represented in the Cup or St. Mary’s were tired from the rigours of the campaign? Who knows as we can only speculate but irrefutably the Saints are no minnows. idk this seems lil fishy.. Greater issue is the number of footballers in Form 6 on paper only just to “play ball”. No work getting done…and several schools have been doing this for years… Even more, they often do not have the required CSEC passes to truly enter any 6 th Form and cannot cope with the academic rigours of Form 6…but then they are not there do do work…right! What about the ones who come back to Lower 6 just for the September – December term and are gone as soon as “football season” ends…Nothing new in any of this…and so much more going on for the sake of what? Bragging rights? Men go feel sick. I guess winning 6-0 ain’t go mean nothing . See how Peter pay for all . I hope the administration at Mucurapo would also be reprimanded for this. Bloody dishonest! I could understand you lost so you getting your 3 points and 3 goals but why is the team that draw not benefiting. QRC should protest to get full points . Hoping Shiva Boys is not in that racket , that will turn the school football upside down . Was this boi?? they trying f**k we up boi Renaldo Prescott just to save Fatima and them ?? I endorse Earl Best’s sentiments and Lasana the SSFL can mitigate this by simply requesting, prior to the start of the season, a MoE or School Stamped Transcript of grades attained by all players on the roster registered by the respective teams. It is not difficult for a school’s administration to use Microsoft Excel to tabulate the academic credentials on one sheet then validate such with the transcripts. This would idemnify both school and SSFL from future protests on the account of player eligiblity. Perhaps we may see this being a mandatory requirement by the SSFL going forward? School circumvent process just to satisfy this kid playing football ? U do not need 4 passes to do 6 form. Did he tell u d school? Yes. But I honestly forgot. I think it was a central school. But can’t remember. 5 and if u have 2’s or 3’s it must have A in the profile. POS District office aĺlow that? Well, something for the MoE to investigate I guess. POS SS3 that is where it needs to start. Thanks for clarifying that Joann. I am still sitting here confused as to how they can allow these students to be in form 6 let alone play ball also. It seems like Trinidad and Tobago needs to rethink what student-athlete means. Then again, depending on the school/ which player involved it was always athlete first! I want somebody to go look for these footballers in January. Tell me how much of them can be found in a classroom. Lasana Liburd that would be a good article to follow up on. Just saying! Lol. Exercise in futility. There was school in central who had a cricketer enrolled. They discovered–with photographic evidence–that the “schoolboy cricketer” had a full-time job as a construction worker. They moved to penalise the school and the principal produced a piece of paper to show the boy never missed a day of school! I’m just not prepared at present to dedicate the amount of resources I would need to prove that dozens of footballers are in class. Or at least I just haven’t the heart. Because it is so depressing. Lasana Liburd don’t make me lose more sleep tonight please. Yuh making that up man! Lol. Dennis, it is a secondary schools sport administrator who told me that story. They had a photo of the boy in a hardhat but it could not compete with his stellar attendance record from the principal. I like the vibes of PVille and will be keeping an eye on the team next year . Lol. Allyuh southerners eh. Trinity East coming anyway. And for the first time Tobago will have two schools. Hope we can go cover Speyside v Signal Hill next season. Forget the matter of fielding an “illegal” player. We should be talking about only needing 4 passes to get into form 6 now??? Don’t recall that back in my days! If so, says a lot for our education system now. Sad! Question were you a footballer? Bacchanal. San Juan North would be royal screwed… And what an escape that would be for Fatima! That Fatima jumbie strong. lol. It refuses to be defeated. Hahaha. To move from bottom of the table to safety on a technicality? Wow. Six passes apparently. Right Joann Charles? Hahaha. Well, the SSFL is supposed to investigate them too. Nah. Joann works with Ministry of Education and she says that warrants an investigation. ..This is news? Ho hum. As old as the hills..
Lol. Well, it is certainly going to shake up the SSFL once the appeals committee comes to the same conclusion as the disciplinary committee. Brian Jordan and Jomo I. Johnson and the gang have a great spying network perhaps. There’s always high possibility of breaches that slip through the crack annually…especially in our system. How did Benedict’s find out though ? Eh? I don’t understand how anybody but Mucurapo is responsible here. For me, the question that arises is this “Does the League check on these things? If there had been no protest, would all of these now to-be-adjusted results have stood? That seems somehow wrong if the answer is yes. And, of course, the other derivative question is this: Are Mucurapo the only school indulging in questionable practices or are they the only school NOW REVEALED to be so acting? The question is likely to remain moot. And SSFL officials mute. Excellent question for sure. 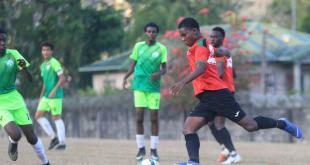 The SSFL would have to consider if they have the resources to check eligibility of all players.